The elevage (i.e. the stage between fermentation and bottling) can vary from 10-20 months depending on the vintage. This takes place on fine lees; the wines are never racked. The casks, and in particular the origin of the wood, are carefully selected in order to best comply with the agreement between the terroirs and to ensure the character of each wine. The percentage of new casks used is adapted according to the year and the terroir, between 0-50%. Malolactic fermentation is delayed so that it only occurs about 6 months later, in the following Spring, thereby giving greater aromatic complexity and structure to the wine. The lunar calendar will influence when the elevage ends: the wines on the lees are racked and mixed together so as to homogenise the content of the vat. The wine is bottled a few weeks afterwards without fining or filtration. After vatting, the juice is lightly “pumped-over” to ensure it is mixed evenly. Alcoholic fermentation begins thanks to the yeast naturally present in the grape must. This process usually lasts between 6 and 8 days. It is monitored on a daily basis by measuring the sugar content and ensuring proper temperature control. -The “punch-down” or “pigeage”, which consists in placing the grape solids that have formed on the surface during fermentation at the bottom of the vat. This step helps to better modulate the extraction of the flavour, aroma, etc. from the grape solids. – Pump-over or remontage whereby juice is pumped up from the bottom of the tank and splashed over the top of the fermenting must. This step helps to oxygenate the wine and to refine its structure. The frequency as well as the length of the punchdowns and pumpovers vary depending on the vintages, taking account of the harvesting conditions. A technical tasting is performed every day to determine the length of time needed for the vatting process. The free-run wine (liquid) and first press wine (pressed solids) are separated out and then reincorporated if necessary after tasting. The wines are then casked using the force of gravity. The harvesting is exclusively carried out by hand using tradition-based Burgundy wine-making techniques. Each bunch is placed by the grape gatherers into small 8kg boxes, thereby avoiding any further handling between the time they are picked and the time they are sorted. The harvested grapes are not “crushed”. The bunches are first placed on a vibrating table to eliminate any insects, dried grape berries, dead flowers and any foreign particles and, if necessary, the morning dew. Around the sorting table, six people manually sort the grapes and only select the bunches of the highest quality. Either they are sent to the stalk-removing machine, which involves separating the individual grape berries from the stalks, without bursting their skin in order to preserve the integrity of the fruit. Or they are placed directly into the vat without any further handling. This is what is known as the “whole bunch” method. The grapes are then transported via a conveyer bent to the vat, ensuring the fruits remain intact. Geography : Highest altitude of the Domaine, located next to the Clos des Chênes, since the beginning of the appellation Taillepieds. Its name comes from the steep slops forcing the workers to bend forward. Soil and environment : Really chalky white soil with a lot of exposed gravels because of the erosion; helped by the sun light and the direct South-East exposure. The vine : Really old vine, 60 to 70 years old. Sold by Domaine de Montille to his great grandfather. The wine : Round, fat and rich on the palate due to the age of the vines. Beautiful maturity in the mouthfeel. The natural minerality of the terroir delivers really fine tannins with a lot of elegance. The fresh aromatic flavor will provide a lot of satisfying drinking as it ages into maturity. Geography : Located right below Taillepieds (split in two by the departmental road). It owes its name to the rocks that form its ground. Soil and environment : The soil is a mix of clay and chalk set on a hard chalky layer from the Jurassic. It is light brown with a light texture and contains a lot of pebbles. Steep slop with South-East exposure. The vine : Blend of 20 and 50 year-old vines. The wine : The wine is really elegant, delicate, and almost ethereal. Floral and mineral notes on the palate with silky tannins. Beautiful aromatic body. Developing length and complexity as it sits in the mouth. We call it « the lace of Volnay ». Geography : Located at the feet of the Cailleret with a break in the slope; which is here softer. A light hollow whose name comes from the Latin “cava”. Soil and environment : The depth of the ground is more important here than in other parts of the domaine. A blend of clay and pebbles. The vine : Blend of a 40 and a 60 year-old plot from the mass selection. The wine : Rich, fat and generous on the palate with notes of red and black fruits. Round and silky with soft and tender tannins : It is the perfect incarnation of the wines of Volnay. Geography : Back to the center of the village, at the feet of Volnay Champans hills, on the cone of dejection. Soil and environment : Poor light-colored soil with a lot of rocks. It is only 5 to 8 inches deep. The vine : One plot of about 20 years. The wine : The wine is tight on the palate but its minerality immediately stands out. Straight, with a nice balance and a good freshness (even if it plays the card of red bruits : blueberries, boysenberries as its name suggests). Fresh, tight and precise tannins will fill out its structure with age. Geography : It is the Santenots du Bas, at the same level of the hill than Ronceret. The beginning of the plot has a soft slop that breaks in the middle and finish flat. Soil and environment : The ground is deep and rich, with dark red colors due to the high iron content. The “ship heads” can be found there (big round rocks). The vine : Blend of young vines (20 years old) located on the sides of Volnay with bigger rocks and older vines (60-70 years old) from Meursault with a clay soil. The wine : Dense and intense from the beginning with some animal notes those other wines don’t have. Subtle on the palate, (old vines) relayed by length and strength in the mouthfeel. It is more on the Côte de Nuits than on the Côte de Beaune side. Geography : Located in the heart of Volnay, next to the Clos de la barre and under Clos des Ducs. Its name comes from its location: between two roads. Soil and environment : The soil is a mix of brown-grey clay and chalk with little white stones. The plot starts at the beginning of a basin. Therefore, it attracts the heat of the sun during the day and conserves it at night. This helps create softer and silkier tannins. The vine : Blend of 65 and 15-20 year-old vines. The wine : With its unique spicy notes, the wine is always the roundest, the fruitiest and the most open of the range. Silky on the palate, with a kind of nervous, acidic and tense finish. Usually appreciated by restaurants for its immediate and soft side. Geography : The most Pommard of all the Volnay – from the white soils of Pitures to the black ones of the Jarolières, or even further to the red ones of the Rugiens. Soil and environment : Here again, we find a blend of clay and chalk on a hard chalky Jurassic soil with a high concentration of iron: the soil is red with a certain number of rocks. The soils of the middle-hillside are closer to the mother rock. The place is really solar (in a basin) and the maturity is precocious. The vine : Young vine (about 20 years old). The wine : The wine offers notes of cooked red fruits at the start, but leans on a fresher side afterwards with spicy notes. Strong and rich on the palate. The tannins open up rapidly even if they are ripe and rich. We can feel the influence of the close by Pommard’s terroir. The body is solid but its maturity and roundness also gives a lot of softness, typical of the Volnay appellation. Geography : At the bottom of the foothill, under the 1ers crus Clos des angles and Chevret. Soil and environment : Deep chalky and clayey soil set on a chalk layer. Very few stones giving the soil its light and brown color. The vine : Blend of different plots Les Buttes, Les Grands Champs, Les Famines, Les Lurets (from 10 to 60 years old). The wine : The wine is fruity and charmer. The tannins are soft and round with a lot of silk. Really good balance. Drink now. Geography : Mid-hill between Pommard Rugiens and Volnay 1er cru Fremiets. Soil and environment : Deep, rich dark soil with very few rocks. The vine : Really old (80 years old). The wine : Round and fleshy on the palate, this wine is the most Volnay of all the Pommards. The lingering tannins are a good reminder of its origin. Geography : Halfway up the hillside, next to the Pommard “Rugiens”, overlooking Volnay. Soil and environment : Rich and complex soil, with just the right balance of clay and limestone. The vine : 40 year-old vineyard. The wine : The attack is round and fleshy, enhanced by a beautiful sense of tension that extends to the middle of the mouth and ends with fine tannins. Geography : Located at the bottom of the hillside, to the south of the Pommard “Rugiens”. Soil and environment : A rich, deep soil with a high clay content and very few stones. The vine : 35 year-old vineyard. The wine : The clays give the wine a very round and smooth attack, with sweet and smooth tannins on the finish. Geography : Top-hill between the Rugiens and the Volnay Pitures plots. Soil and environment : Light, poor, white soil covered with rocks, close to the mother rock. The vine : Old (70 years old). The wine : This wine is tight and straight right from the beginning. Its minerality stands out immediately : good balance and freshness. Fresh, tight tannins offering excellent aging potential. Even if by itself the wine can be a little austere, it pairs well with food. Geography : Located at the foot of the hill of Pommard, in the Petits Épenots, down hill, on the Beaune side. Soil and environment : Light reddish soil with a lot of stones. The good draining properties of this light soil allow the grapes to reach good maturity. The vine : About 40 years old. The wine : Rich and powerful. 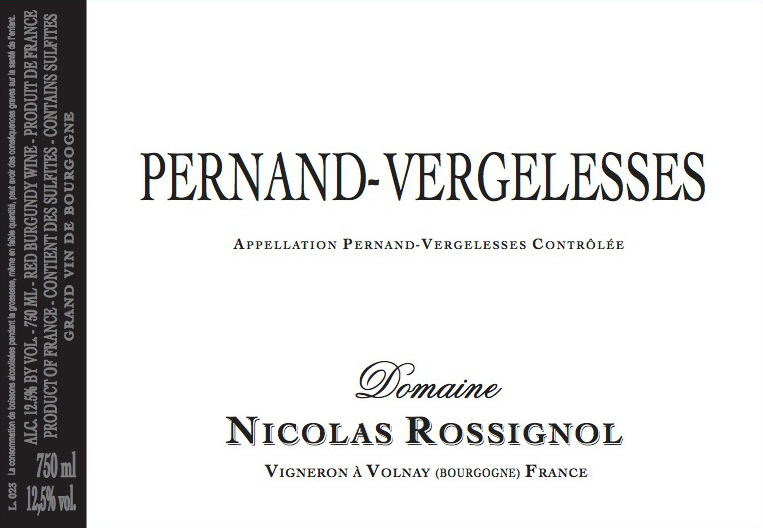 Full, intense flavors of wild black fruits with typical tannins from the Pommard’s terroir. Geography : Located mid-slope, just above the Pommard “Epinots”, facing the town of Beaune. Soil and environment : The estate is located on a gentle slope, where the soil has a strong reddish tinge (due to its iron content) with a good percentage of clay, hence its name (argile=clay). The vine : Collection of two vineyards, one aged approximately 30, the other 40. The wine : Smooth, well-rounded and full-bodied wine with lovely ripe, delicate tannins. Geography : Located above the hill of Pommard, close to the Arvelets, on the Beaune side with a South exposure. Soil and environment : Steep slop. Poor and rocky soil because of the erosion. This plot (characteristic giving its name to this terroir) wasn’t damaged by the Phylloxera at the 19th century: its vines were used to create grafted vine in Cote de Beaune. The vine : Blend of 30 and 40 year-old vines. The wine : Fresh and mineral with chalky tannins. The period of sunshine helps all the components reach perfect maturity. Geography : Located to the north of the hill of Pommard, facing Beaune, above “Argillières” and “Epenots”. Faces direct south. Soil and environment : Located on a gentle slope, the soil is a deep red, as is typical of Pommard. The vine :Collection of several plots aged between approximately 15 and 75. The wine : Rich, full-bodied wine with ripe, well-rounded tannins of a similar level to the 1st cru. The sunny position allows all the ingredients to mature perfectly, making for an excellent wine which ages well. Geography : Located in the combe de Pommard, in the elbow of Volnay. Mid-high altitude. Soil and environment : Steep slop covered with chalky earth and lots of rocks. South exposure. The vine : About 50 years old. The wine : Exclusively made of « vin de goutte », this wine shows thin and silky tannins keeping strength characteristic to its terroir of origin. Geography : Located under the Iles de Vergelesses at mid-hill in front of the appellation Corton-Charlemagne. Soil and environment : Chalky-clayey soil, really red because of the high iron content. The mother rock is far enough to bring micro elements. The vine : Blend of 40 and 60 year-old vines. The wine : Slightly acid red fruits on the palate with a lot of tension and minerality. Straight in mouth because of its freshness. Good aging capacity. Geography: Located on the north part of the appellation, in a combe. Soil and environment: Chalky-clayey white soil with a lot of rocks. The vine: Really old, planted in 1924. The wine: This vintage has a good maturity in white. Fat on the palate because of the 24-month raising « sur lie » in barrels (some light woody notes). Tense mouthfeel with a little bit of acidity. Rich overall and good aging capacity. Geography : Located on the side of the hill, close to Pommard 1er cru Pezerolles. Soil and environment : Really red soil, typical of the Pommard area with a high iron content and a lot of « rolled » stones (Pommard is located in an old river bed). The vine : About 50 years old, in one piece. The wine : Rich with a lot of character. Blend of red and black wild fruits. Silky on the palate with intense flavors providing a good length in mouth. Geography : Located at the bottom of the hill, close to Savigny-les-Beaune. Really sunny. Soil and environment : Poor soil with good draining capacities offering small, concentrated grapes. The vine : Silky and tender on the palate with spicy notes reminding of the Grenache of some vintages with their acidity. Really different from Beaune Clos des Mouches, the tannins are round and delicate. Perfect wine for a quick tasting. Doesn’t require long aging. Geography : Located under Le Clos des Avaux next to Beaune 1er cru les Theurons at the entry of the city, on the Pommard side. Soil and environment : 1er Cru at the bottom of the hill with a soil poor in clay and with a lots of small dark stones from the alluvial deposits. The vine : About 30 years old, in one piece. The wine : Always rich and powerful, this wine requires some aging to be fully appreciated. Black fruits flavors (blueberries and dark cherries), it shows beautiful rich and dense tannins in its early years, which should expand over time. 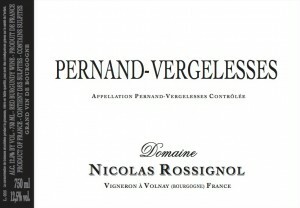 Geography : Located on the foothill of Pernand-Vergelesses, mid-hill. Soil and environment : Chalky-clayey soil. South exposure. The vine : About fifty years old. The wine : Soft, light and fruity with a lot of delicate tannins. Geography : Located at the village of Savigny at the bottom of the hill. Soil and environment : Flat clayey, chalky soil with a few gravels. Southwest exposure. Close to the Champs Chevrey. The vine : About 30 years old. The wine : Firm and fleshy with a silky palate. Vibrant aromatic complexity with ripe red fruits and a touch of spices. Dense and rich mouthfeel. Geography : Located at the village of Savigny at the bottom of the hill, under the 1er Cru Les Fourneaux. Soil and environment : Flat, deep soil with very little gravels. Made almost entirely of clay. The wine : Fresh and crisp. Bright acidy and good body with flavors of red fruits. Geography : Blend of different plots from the plain of Volnay and Pommard. Soil and environment : Poor soil with good draining capacity. The vine : 20 to 50 year-old vines. The wine : Soft and fruity. Doesn’t require a lot of aging, except for specific vintages. Silky tannins due to its origin. Geography : Located in Crenilles, in the plaine of Pommard close to the Château, not far from the village. Soil and environment : Rich, brown shallow soil with a lots of stones and silt (Pommard is located in an old river bed). The vine : Planted in 1922, made of tight plants producing small concentrated grapes. The wine : Rich wine with a lot of character, reminding of the traditional characteristics of the pinot noir of long ago. Black fruit flavors with a wild, almost rustic touch. Silky on the palate, immediately overtaken by an intense body and rich and ripe tannins. L’élevage varie de 10 à 20 mois selon le millésime. Il s’effectue sur lies fines donc les vins ne sont jamais soutirés. Les fûts et en particulier la provenance des bois, sont rigoureusement sélectionnés afin de respecter au mieux l’accord entre les terroirs et le caractère de chaque vin. Le pourcentage de fûts neufs est adapté selon l’année et le terroir, de 0 à 50 %. La fermentation malo-lactique est retardée afin qu’elle se déclenche environ 6 mois plus tard, au printemps suivant, donnant ainsi plus de complexité aromatique et de structure au vin. Le calendrier lunaire va influencer la fin d’élevage : les vins sur lies sont soutirés et mis en masse pour homogénéiser la cuvée. La mise en bouteille est effectuée quelques semaines après sans collage ni filtration. Après l’encuvage, un léger remontage est effectué pour homogénéiser les jus. La fermentation alcoolique commence naturellement avec des levures indigènes. Elle dure en général entre 6 à 8 jours. Un suivi est réalisé chaque jour par un dosage des sucres et un contrôle des températures. Le pigeage qui consiste à remettre la matière solide qui s’est accumulée en surface lors de la fermentation dans le fond de la cuve. Cette étape permet de moduler l’extraction de la matière du vin. Le remontage, c’est le fait de remonter le jus du fond de la cuve par pompage et de le reverser sur le dessus de la cuve. Cette étape permet une bonne oxygénation du vin afin d’affiner sa structure. La fréquence ainsi que la durée des pigeages et des remontages sont modulées en fonction des millésimes pour tenir compte des conditions de récoltes. Une dégustation technique est réalisée tous les jours afin de déterminer la durée du cuvage. Les vins de goutte (partie liquide) et de presse (partie solide pressée) sont séparés puis réincorporés si besoin après dégustation. Les vins sont ensuite « entonnés » (mis en fût) par gravité. Les vendanges sont exclusivement manuelles et proches des techniques bourguignonnes traditionnelles. Chaque grappe est placée par le vendangeur dans de petites caisses de 8kg évitant ainsi toute manipulation entre le moment du ramassage et la table de tri. La vendange n’est pas «triturée». Les grappes sont d’abord placées sur une table vibrante éliminant les insectes, les grumes sèches, les fleurs avortées… toutes les particules extérieures au raisin et le cas échéant la rosée du matin. Autour de la table de tri, six personnes effectuent un tri manuel et ne conservent que les plus belles grappes. Soit l’égrappoir, qui consiste à séparer les grumes des raffles, sans éclatement des peaux afin de préserver l’intégrité du fruit. Soit une mise en cuve directe, sans autre manipulation. C’est ce qu’on appelle la vendange entière. Les raisins sont ensuite convoyés par un tapis roulant vers la cuve (on parle d’encuvage) en respectant le caractère intact des fruits. La situation géographique : Situé en bas de coteau sous les 1er Crus Clos des Angles et Chevret et en haut de coteau, au-dessus de ces mêmes Volnay 1er Crus. Le sol et l’environnement : En bas de colline, le sol est argileux et profond alors que sur les hauteurs, la roche mère affleure et offre un sol d’argile et de calcaire avec de nombreuses pierres. La vigne : Assemblage de plusieurs parcelles telles Les Buttes, Les Grands Champs, Les Famines, Les Lurets, La Gigotte… Son âge varie de 15 à 75 ans. Le vin : Un vin très fruité et charmeur aux tanins souples et enveloppés. Un joli équilibre définit cette cuvée qui s’apprécie dans sa jeunesse. La situation géographique : Assemblage de différentes parcelles de la plaine de Volnay et de Pommard. Le sol et l’environnement : Sols assez pauvres, possédant un bon pouvoir drainant. La vigne : Vignes de 20 à 60 ans environ. Le vin : Cette cuvée au fruité très aromatique et à la structure souple ne demande pas de long vieillissement, sauf millésime particulier. Ce vin présente généralement de beaux tanins soyeux dus à son origine. La situation géographique : Le plus Pommard des Volnay sous les sols blancs des Pitures, à coté des sols noirs des Jarolières et plus loin des sols rouges des Rugiens. Le sol et l’environnement : On retrouve un ensemble argilo-calcaire sur calcaire dur jurassique (oxfordien moyen) à fort taux de fer : le sol est rouge avec un certain nombre de cailloux. Sol de mi-coteau ou l’on sent la roche mère proche. L’endroit est très solaire, en cuvette, où la maturité est précoce. La vigne : Jeune vigne d’un ensemble d’une trentaine d’années. Le vin : Le vin présente des notes de fruits murs presque cuits à l’attaque et reprend de la fraîcheur par la suite avec des notes un peu épicées. Attaque solide et riche. Les tanins s’expriment rapidement même s’ils sont murs et riches. On sent l’influence du terroir de Pommard très proche. L’ensemble est solide mais il sait par sa maturité reprendre beaucoup de douceur et de rondeur, s’inscrivant bien dans l’Appellation Volnay, mais dans une interprétation plus puissante. Le sol et l’environnement : Sol argilo-calcaire de mi-coteau avec de l’argile gris-marron clair et de petits cailloux blancs. La situation de la parcelle au début d’une cuvette, captant bien la chaleur du soleil et la gardant une partie de la nuit donne des tanins beaucoup plus soyeux et plus souples. La vigne : Assemblage d’une vieille vigne 65 ans et de plus jeunes 15 et 20 ans. Le vin : Le vin est toujours le plus rond, le plus fruité et le plus ouvert de la gamme, avec des notes épicées uniques. Attaque soyeuse et enveloppée, finissant sur le même registre, avec peu de nervosité, d’acidité, de tension. Généralement apprécié par la restauration pour son coté immédiat et sa douceur. La situation géographique : Il s’agit des Santenots du bas, au même niveau sur la colline que le Ronceret. Le début de la parcelle possède une légère pente puis subit une cassure pour finir plus plate. Le sol et l’environnement : Le sol est très profond, très riche, de couleur rouge foncée avec beaucoup de fer. On y trouve de gros rochers ronds (Tête de mouton). La vigne : Il s’agit de l’assemblage d’une jeune vigne (30 ans) située coté Volnay avec plus de cailloux et d’une vieille vigne (70-80 ans) située coté Meursault avec un sol plus argileux. Le vin : Le vin est dense et intense dès le départ avec des notes plus animales que les autres n’ont pas. Bonne finesse à l’attaque (vieille vigne) relayée par une puissance et une longueur (jeune vigne) en fin de bouche. Ce vin est toujours plus typé Côte de Nuits que Côte de Beaune. La situation géographique : On revient au centre du village au pied de la colline sous les Volnay Champans sur le cône de déjection. Le sol et l’environnement : Le sol est pauvre, seulement quelques centimètres de terre (15 à 20 cm) avant d’arriver sur cet amalga d’érosion de la colline. Le sol est clair avec beaucoup de cailloux. La vigne : Vigne d’un seul ensemble d’une trentaine d’années. Le vin : Le vin est tendu dès le départ. On perçoit immédiatement sa minéralité, vin serré et droit mais de bel équilibre et avec une bonne fraîcheur même s’il joue sur un registre de fruits noirs (mûres, myrtilles) comme son nom l’indique. Tanins frais tendus, précis qui lui donne de la tenue et un beau vieillissement. La situation géographique : Situé aux pieds des Cailleret avec une cassure dans la pente, qui est ici plus douce. Présente un léger creux d’où son nom originaire du latin “cava”. Le sol et l’environnement : La profondeur de sol est plus importante. L’ensemble est assez argileux, entremêlé de quelques petits cailloux. La vigne : Assemblage de deux parcelles l’une d’une quarantaine d’année l’autre d’une soixantaine d’année issue de la sélection massale. Le vin : Le vin est riche, gras et généreux dès l’attaque avec des notes de fruits rouges et fruits noirs murs. Très rond et soyeux, aux tanins souples et tendres. C’est l’image même du style des vins de Volnay. La situation géographique : Situé juste en dessous des Taillepieds (séparation par la route départementale). Il doit son nom aux petits cailloux présent en abondance sur le sol. Le sol et l’environnement : Le sol est ici argilo-calcaire sur un calcaire dur du jurassique. La terre est marron clair, assez légère avec beaucoup de petits cailloux. Le sol présente une pente assez forte, toujours en exposition sud est. La vigne : Assemblage d’une vigne d’une trentaine et d’une vigne d’une soixantaine d’années. Le vin : Le vin est très élégant, fin et délicat, presque aérien. Note florale et minérale, avec beaucoup de finesse à l’attaque, avec des tanins soyeux et fins. Belle persistance aromatique d’un vin qui gagne en longueur et en complexité en fin de bouche. On l’appelle « la Dentelle de Volnay ». La situation géographique : Plus haute altitude des premiers crus du Domaine, situé à coté du Clos des Chênes, au début de l’appellation Taillepieds. Doit son nom au fait d’une pente très prononcée obligeant les vignerons à se pencher pour la travailler. Le sol et l’environnement : Sol très calcaire, sol blanc avec de nombreux cailloux découverts par l’érosion (affleurescence de la roche mère) favorisant la lumière du soleil et exposition plein sud est. La vigne : Très vieille vigne, âgée de 60 à 70 ans. Vendu par le domaine de Montille à l’arrière grand-père. Le vin : Attaque ronde, grasse et riche due à l’age de la vigne. Belle maturité, la minéralité naturelle du terroir se fait sentir en fin de bouche, donnant des tanins très fins avec beaucoup d’élégance. L’ensemble garde une belle fraîcheur aromatique et se prête bien au vieillissement. La situation géographique : À mi-coteau entre les appellations Pommard Rugiens et Volnay 1er Cru Fremiets. Le sol et l’environnement : Terre très riche, profonde, de couleur très foncée, avec peu de cailloux. La vigne : Très vieille vigne, âgée de 90 ans. Le vin : Avec une attaque tout en chair et en rondeur, ce vin est le plus Volnay des Pommards. En finale de bouche les tanins reviennent rappelant bien son terroir d’origine. La situation géographique : Située sur le village de Savigny en bas de coteau. Le sol et l’environnement : Sol plat argilo-calcaire, léger avec quelques cailloux. Exposé est-ouest, proche des Champs Chevrey. Le vin : Vin ferme et charnu avec une attaque soyeuse. Belle complexité aromatique avec de jolis fruits rouges bien murs et une touche épicée, finale de bouche dense et riche. La situation géographique : Située en Crenilles, en plaine de Pommard à proximité du Château, non loin des Pommard Village. Le sol et l’environnement : Sol brun composé de terres riches mais peu profondes avec une forte présence de pierres et de limon (Pommard est situé sur un ancien lit de rivière). La vigne : Vigne plantée en 1922, constituée de plants fins produisant de petites grappes concentrées. Le vin : Vin riche avec beaucoup de caractère rappelant les caractéristiques traditionnelles du pinot noir d’antan. Arômes de fruits noirs avec une touche sauvage voire presque rustique. Attaque soyeuse, rapidement relayée par une matière intense avec des tanins riches et murs. La situation géographique : À mi-coteau à coté des Pommard Rugiens, coté Volnay. Le sol et l’environnement : Terre riche, complexe dans le juste équilibre entre argile et calcaire. La vigne : Vigne âgée de 40 ans. Le vin : Avec une attaque tout en chair et en rondeur, un milieu de bouche tendu grâce au sol calcaire et une finale sur de beaux tanins. La situation géographique : En bas de coteau sous les Pommard Rugiens. Le sol et l’environnement : Terre riche, profonde, beaucoup d’argile, avec peu de cailloux. La vigne : Vigne âgée de 35 ans. Le vin : Avec une attaque très ronde et soyeuse, l’argile apporte de la douceur et de la rondeur au vin. La finale s’achève sur de doux tanins soyeux. La situation géographique : Haut de coteau, entre les différentes parcelles de Rugiens et les Volnay Pitures. Le sol et l’environnement : Terre blanche recouverte de cailloux. Ce sol est pauvre, léger, proche de la roche mère. La vigne : Vieille vigne de 80 ans environ. Le vin : Ce vin serré et droit est tendu dès le départ, on perçoit immédiatement sa minéralité. Vin de bel équilibre et de bonne fraîcheur. Tanins frais tendus, massifs, avec un excellent potentiel de garde. Même si seul, il peut évoquer une certaine austérité ce vin s’équilibre très bien au cours d’un repas. La situation géographique : Deux parcelles, l’une située au pied de la colline de Pommard, dans les Petits Épenots, coté Beaune en bas de coteau, l’autre dans le haut du coteau au-dessus du Clos des Épeneaux. Le sol et l’environnement : Le sol est de rougeâtre à clair, avec de nombreuses pierres roulées. Sol assez léger, très drainant qui permet aux raisins d’atteindre de très belle maturité. La vigne : L’une est âgée d’environ 50 ans, l’autre est plus que centenaire. Le vin : Vin riche et puissant. Arômes pleins et intenses de fruits noirs presque un peu sauvage, avec des tanins puissants typiques du terroir de Pommard mais mûrs et restant soyeux. La situation géographique : Cette parcelle se situe à mi-pente, juste au-dessus des Pommard Épenots, coté Beaune. Le sol et l’environnement : Le sol est sur une pente douce, de couleur assez rouge (présence de fer) avec une bonne proportion d’argile d’où son nom. La vigne : Assemblage d’une vigne de 30 ans et d’une de 40 ans environ. Le vin : Vin rond, plein et riche, d’un beau soyeux aux tanins mûrs et délicats. La situation géographique : Situé au-dessus de la colline de Pommard, proche des Arvelets, coté Beaune. Exposition plein sud. Le sol et l’environnement : Le sol est sur une pente très abrupte, l’érosion donnant un sol très pauvre, très caillouteux. Cette parcelle en hauteur (caractéristique donnant son nom à ce terroir) n’a pas été touchée par le Phylloxera au 19ème siècle : ces plants ont été utilisés pour créer les plants greffés soudés en Côte de Beaune. La vigne : Assemblage d’une vigne de 50 ans. Le vin : Vin frais et minéral, avec des tanins crayeux. L’ensoleillement permet une bonne maturité de tous les composants. La situation géographique : Situé au-dessus de la colline de Pommard, coté Beaune au dessus des Argillières et Épenots. Exposition plein sud. Le sol et l’environnement : Le sol est sur une pente douce, très rouge, typique de pommard. La vigne : Assemblage de plusieurs parcelles de 15 ans à 75 ans environ. Le vin : Vin plein et riche avec de beaux tanins mûrs, au niveau très proche d’un 1er Cru. L’ensoleillement permet une bonne maturité de tous les composants et en fait un très beau vin de garde. La situation géographique : Situé dans la combe de Pommard, dans le retour des Volnay, assez haut en altitude. Le sol et l’environnement : Le sol est sur une pente abrupte, recouverte d’une terre très calcaire, avec beaucoup de cailloux, exposées plein sud. La vigne : Vigne de 50 ans environ. Le vin : Composé de vin de goutte exclusivement, ce vin montre des tanins soyeux et fins, gardant une puissance typique de son terroir d’origine. La situation géographique : Située sous les Iles de Vergelesses à mi-coteau, en face de l’appellation Corton-Charlemagne. Le sol et l’environnement : Sol argilo-calcaire, très rouge car riche en fer. La roche mère assez loin du sol lui donne les micro éléments nécessaires à sa croissance. La vigne : Assemblage de vignes de quarante ans et d’une vigne plus ancienne de soixante ans. Le vin : Attaque en bouche sur les petits fruits rouges acidulés, avec beaucoup de tension et de minéralité. Reste très droit en fin de bouche, s’équilibrant bien grâce à sa fraîcheur, tout en conservant un bon vieillissement en général. La situation géographique : Située sur la partie nord de l’appellation, dans une combe. Le sol et l’environnement : Sol argilo-calcaire, blanc avec beaucoup de cailloux. La vigne : Très vieille vigne, plantée en 1924. Le vin : Beaucoup de petits fruits rouges et de notes mentholées en attaque, la bouche s’ouvre ensuite sur de la rondeur et de la souplesse avec une belle vivacité typique de l’appellation. La finale s’apprécie sur des tanins fins et précis. La situation géographique : Située à flanc de coteaux, à proximité de Pommard 1er cru Pezerolles et Épenots. Le sol et l’environnement : Sol très rouge, typique du sol de Pommard avec une concentration en fer très importante et d’innombrables pierres roulées (Pommard est situé sur un ancien lit de rivière). La vigne : Vigne d’une cinquantaine d’années, d’un seul bloc. Le vin : Vin riche avec beaucoup de caractère. Mélange de fruits rouges et noirs avec une touche un peu sauvage. Attaque soyeuse, avec des arômes très présents, lui conférant une belle longueur en fin de bouche. La situation géographique : Située sur le bas du coteau, à proximité de Savigny-les-Beaune. Très bon ensoleillement. Le sol et l’environnement : Sol assez pauvre, donnant de petits raisins riches et concentrés, très drainant. La vigne : Vigne d’une quarantaine d’années. Le vin : Vin avec une attaque soyeuse et tendre, aux notes épicées rappelant dans certains millésimes le grenache. Peu d’acidité, à l’expression très différente du Beaune Clos des mouches. Les tanins sont ici très délicats et ronds. Ce vin se prête bien à une dégustation rapide et ne nécessite pas de longue garde. La situation géographique : Située sous Le Clos des Avaux à coté des Beaune 1er Cru Les Theurons à l’entrée de la ville coté Pommard. Le sol et l’environnement : C’est un 1er Cru de bas de coteaux avec un sol assez pauvre en argile et beaucoup de petits cailloux assez foncés dus à une forte présence d’alluvions. La vigne : Vigne d’un seul tenant d’une quarantaine d’années. Le vin : Vin très riche et puissant qui demande quelques années de vieillissement pour l’apprécier à sa juste valeur. Très fruits noirs type myrtilles et cerises noires. Ce vin présente de beaux tanins riches et denses dans la jeunesse qui s’arrondissent très bien dans le temps. La situation géographique : Située sur le contrefort de la colline de Pernand-Vergelesses, à mi-coteau. Le sol et l’environnement : Sol argilo-calcaire, exposé plein Sud. La vigne : Vigne d’une cinquantaine d’années. Le vin : Vin friand souple, léger et fruité avec beaucoup de charme et aux tanins très enrobés et délicats. La situation géographique : Située sur le village de Savigny en bas de coteau, sous les 1er Crus Les Fourneaux. Le sol et l’environnement : Sol plat profond avec très peu de cailloux. Essentiellement constitué d’argile. La vigne : Vigne de cinquante ans environ. Le vin : Vin vif, frais. Belle acidité et bonne tenue, en petits fruits rouges acidulés. La situation géographique : Juste sous la colline de Corton-Charlemagne et à côté des Pernand-Vergelesses 1er Cru les Fichots. Le sol et l’environnement : Sol profond très rouge dû à la teneur élevée de fer dans le sol, ce qui lui confère un style aromatique et gustatif particulier. La vigne : Mélange de deux parcelles, l’une d’une vingtaine d’années et l’autre de près de 70 ans. Le vin : Chaque année ce vin présente des parfums plus animal que fruité. En bouche, ses tanins riches à l’instar des Corton rouges peuvent accompagner des plats à base de viande rouge. Égrappé à 100 % sans foulage, les raisins partent naturellement en fermentation avec très peu de pigeages pour préserver sa finesse.